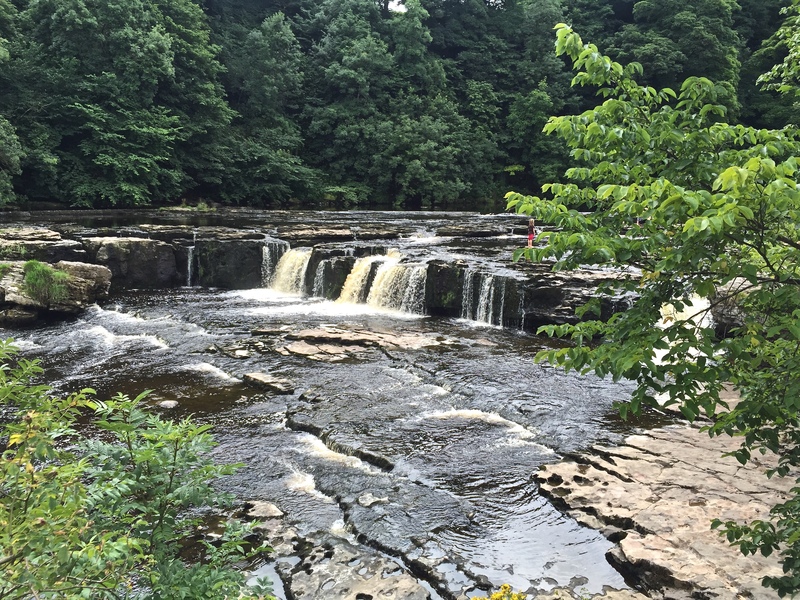 Had a lovely walk with Mike and Tetley today at Aysgarth Falls in the Dales near Leyburn. 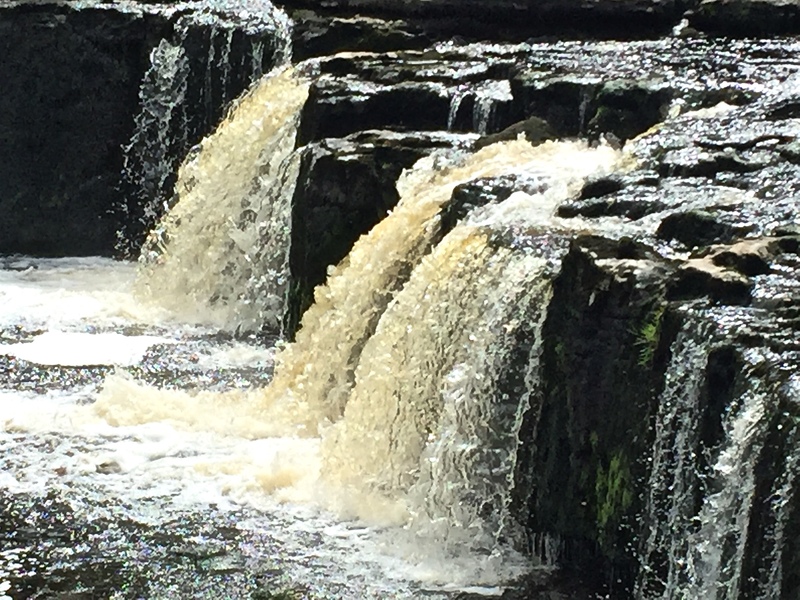 The river Ure winds its way through Wensleydale, tumbling over limestone at Aysgarth. 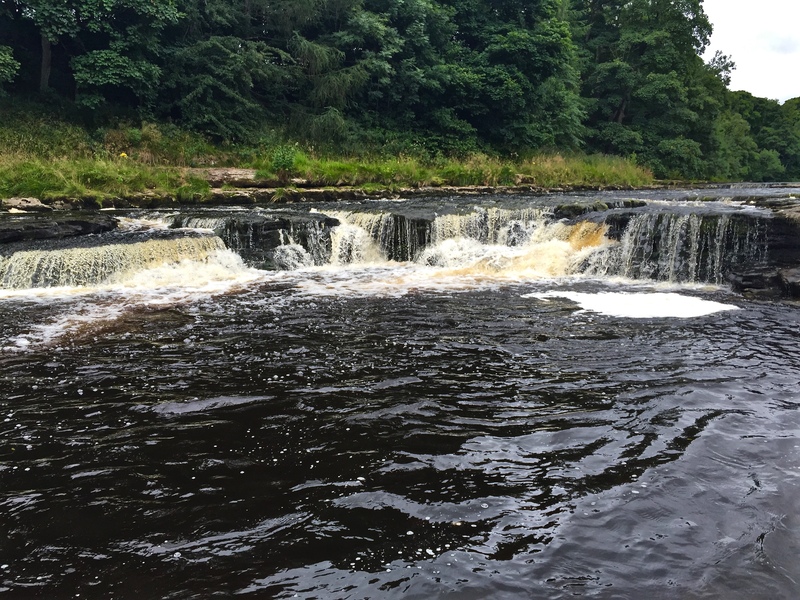 There are a number of waterfalls but Upper, Lower are accessible but the Middle can be viewed from a platform. AND there was so much cream that I didn’t need it all – again unheard of! 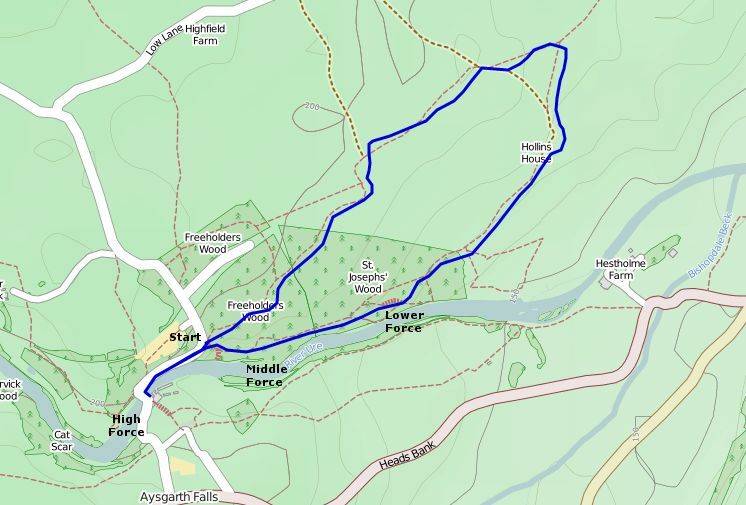 This walk is taken from the http://www.walkingenglishman.com Fantastic website for walkers. 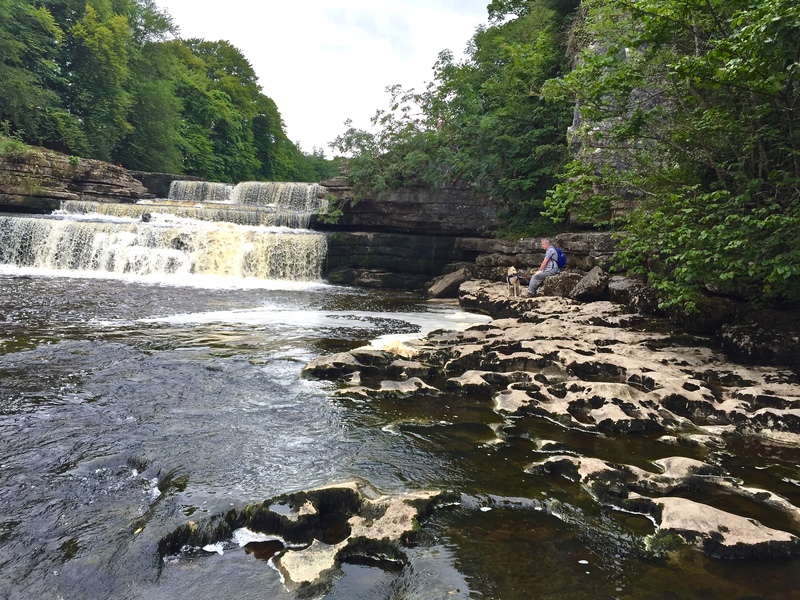 This entry was posted on August 9, 2015 by helengibsondavies. 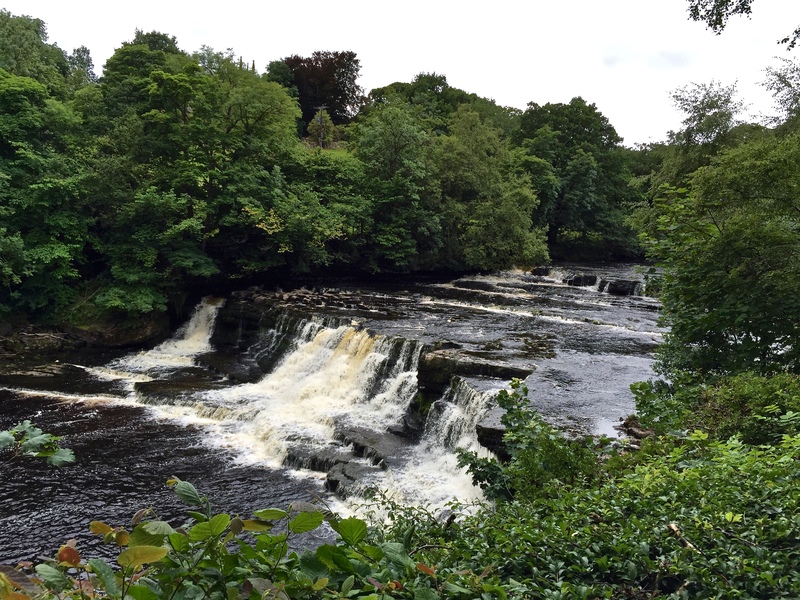 It was filed under Birds and was tagged with aysgarth falls, river ure, wensleydale, yorkshire, yorkshire dales national park.